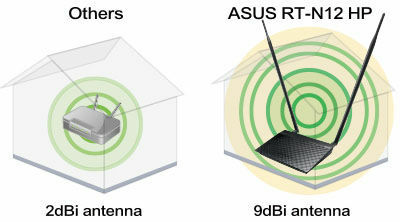 The ASUS RT-N12HP High Power Wireless Router supports the High Power wireless performance. 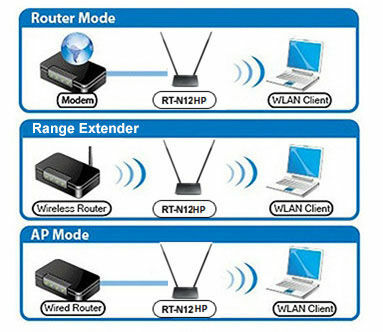 Uniquely equipped with a built-in signal amplifier, the RT-N12HP produces a true 300% increase in wireless transmit power over a standard 802.11n wireless router. With the RT-N12HP, setup is a breeze. 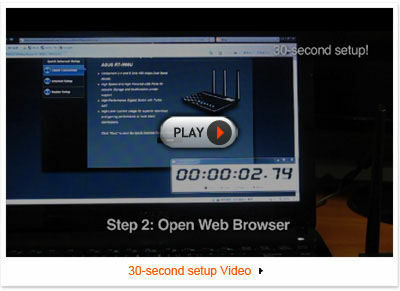 Simply power and connect the router and open a browser on a Wi-Fi-enabled device like a notebook or pad. 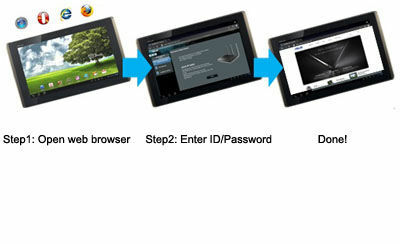 You will then be taken to a setup page with a prompt to enter the ID/password from your internet provider, and that’s it! 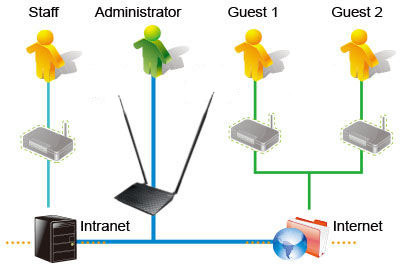 Setting up your network is easier than ever.